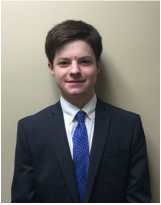 Tyler is the President for Wash U Sports Analytics and is currently a junior in the College of Arts and Sciences. In addition to Wash U Sports Analytics, Tyler created a sports broadcasting program for the school’s student run radio station, KWUR, and is a writer for Cardsblog. Tyler has also created his own metric, Wide Receiver Efficiency Rating, which can be viewed at Pro Football Focus Fantasy. To see Tyler's profile with all of his work, click here.